Surfing takes place in a dynamic environment where the athlete’s focus of attention has a great impact on the performance outcome. Fixation counts and fixation duration on the areas of interest (AoI) have both proved to be successful methods used in sports research in order to quantify and visualize gaze behavior patterns. 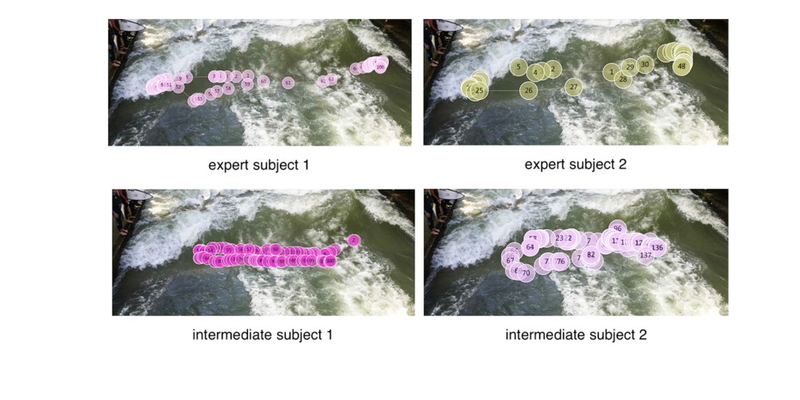 Over 2 1/2 years, five experiments were performed using eye tracking systems from Tobii Pro in various conditions and with different types of surfers in order to gain insights into perceptual-cognitive expertise in surfing. The goal of the study was two-fold: the first of which was to acquire a qualitative description of gaze bahavior from both expert and recreational surfers. Secondly, the researchers wanted to test the operability of a water-housing system they had built for Tobii Pro Glasses 2. The institutions taking part in the VIM project were the Department of Media Management (Macromedia University of Applied Sciences- MHMK) and the Department of Sport Psychology (Technische Universität München- TUM). In addition, the Surfing Australia High Performance Center in Casuarina Beach (NSW, Australia) and the School of Exercise and Health Science (Edith Cowan University, WA, Australia) both took part in this joint science venture. The study was led by Prof. Dr. Guido Ellert (MHMK), Dr. Tom-Nicolas Kossak (TUM), Dr. Jeremy Sheppard (HPC- ECU), Martin Walz (TUM), Simon Dallwig (MHMK), and Paul Günther (MHMK B.A Student). Tobii Pro Glasses 2 was chosen for this study because of its ability to unobtrusively capture athletes’ perception while in action in a real-world setting. Additionally, a water-housing system was built to protect the eye tracker during the sessions in the water. 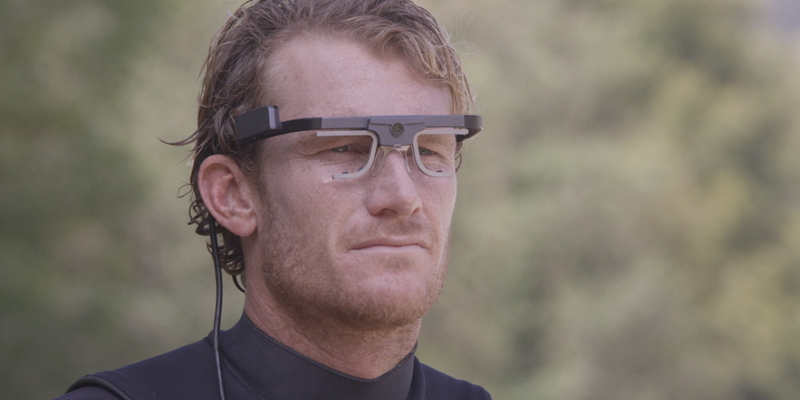 A Tobii Pro T60 XL screen-based eye tracker was used to obtain insights of perception and anticipation patterns in the visual search of novice, advanced, and elite surfers. The first tests were held at the Wavegarden in San Sebastian, Spain. This artificial and steady man-made wave provided matchless conditions for the execution of the first tests with the Pro Glasses 2 waterproof housing. Another VIM study took place at the Eisbach wave, a popular river surf spot in Munich, Germany. This research involved two elite surfers (experts) and two recreational (novice) surfers doing two surfing runs each. They were given the task to perform five “carve” turns per run. Pro Glasses 2 was used to collect the data, and Tobii Pro Glasses Analyzer software performed the data analysis. The Tobii I-VT fixation filter helped to process and classify the recorded gaze data samples into fixations and other eye movement categories. 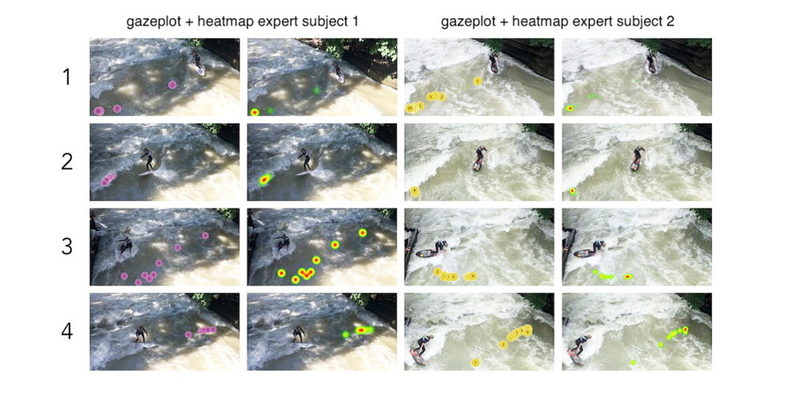 The researchers collected all of the gaze data at the end of each surfing session. With this information, they were able to see where the surfers focused most of their attention while performing surfing maneuvers. Eye tracking revealed a strong correlation between the experience level of the surfers and their fixation duration and counts. The interpretation is that the more skillful the surfers are, the better and faster they are able to perceive and anticipate action-relevant areas for surfing performance. This gained knowledge is interesting for new performance diagnostics and intervention methods when using the Pro T60 XL. In this piece, the expert seems more confident. When jumping on the board, he instantly looks ahead at the section of the wave where he will perform the maneuver. This is apparent in both the external video (his head position) and the gaze replay from Pro Glasses 2. The novice appears to be less self-assured. When jumping on his board, he immediately looks down, focused primarily on his balance rather than the sport. In the external video, the recreational surfer repeatedly looks down, which is also evident in the gaze replay. From the gaze plots and heat maps of the two expert surfers performing curves, it is evident that they both have a similar gaze pattern. 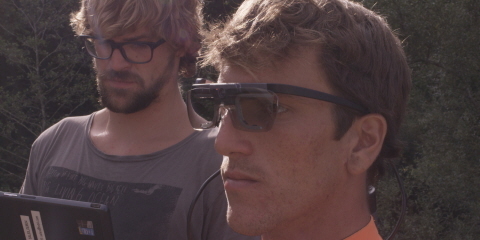 Pro Glasses 2 wearable eye tracking was an effective tool to gain new insights into the gaze behavior of both expert and novice surfers. The obtained qualitative data is expected to contribute to entirely new techniques, optimizing the learning curve and improving the overall training quality for high-performance surfing. The researchers found that the surfers could improve their technique by focusing their gaze more systematically on the suitable, specific sections of waves before they began performing maneuvers. The water-housing system that was built for this study was successfully tested and made the collection of eye tracking data possible. 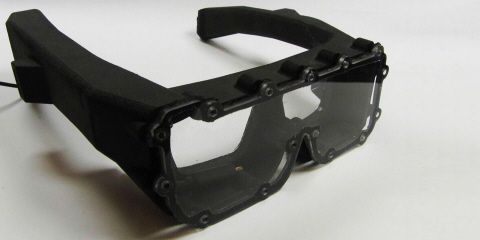 Based on the study results, the researchers were able to find evidence that eye tracking technology can be brought into aquatic activities using a waterproof housing. With the insights gained from using the hardware and software from Tobii Pro, new mental and decision-training methods can be implemented for elite and advanced surfers. Pro Glasses 2 was a great qualitative video analysis tool for both the experienced performance diagnosticians and sports psychologists in the applied field. The results from the Pro T60 XL made it possible to implement a new talent diagnostic and intervention tool for increasing perceptual-cognitive expertise in professional surfing, as well as other open skill sports with complex environments. “Seeing the data is really cool, and I think [this team is] onto something pretty special. When I [was approached for this study], I was so stoked. I am so lucky to be part of this project, and I can’t wait to see all the data coming out of it."